On Sunday evening, December 15, people from across MDI gathered in Northeast Harbor to hit the water aboard the Sunbeam V. Most people know the Sunbeam as the vessel operated by the Maine Seacoast Mission, providing invaluable services to the outer islands that dot our coastline. 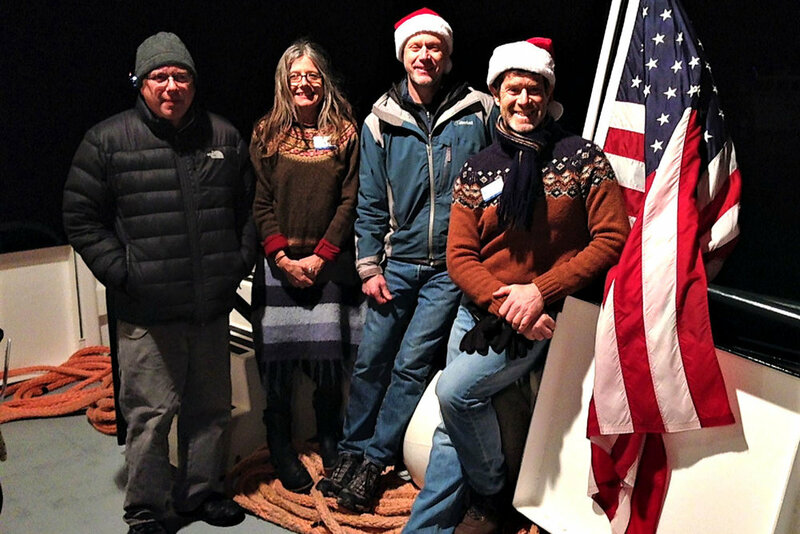 On this particular evening, however, the crew of Sunbeam V were charged with a completely new and unique task— offering an on-the-water Christmas Lights tour. The “Sea Lights” initiative, started a couple of years ago, is an informal grass-roots effort encouraging waterfront property owners to decorate for the holidays. The impetus being that even if the property owners themselves are not lucky enough to enjoy the decor in person, their efforts can still be appreciated and help brighten the Christmas and holiday season for others. The Sunbeam provided two trips to view the lights along the coastline. So that even more folks would be able to enjoy the warm glow of the lights, the Seacoast Mission and the Sunbeam’s crew stepped in to offer a shoreline cruise to view the decorations. Once word got out, it only took a mere 48 hours before the trip was booked solid. Luckily for us all, the crew of Sunbeam V were gracious enough to offer a second trip that same evening, which filled to capacity as well. Celebrating the season on board the Sunbeam V.
It was truly an enjoyable evening spotting the numerous properties along the shore aglow for the holidays, all with a warm cup of hot cocoa and some Christmas cookies. The camaraderie and sense of community was apparent and on display as much as the lights themselves. THANK YOU to all who joined us, especially to those who took the time to hang lights, and of course the Maine Seacoast Mission and crew of Sunbeam V.